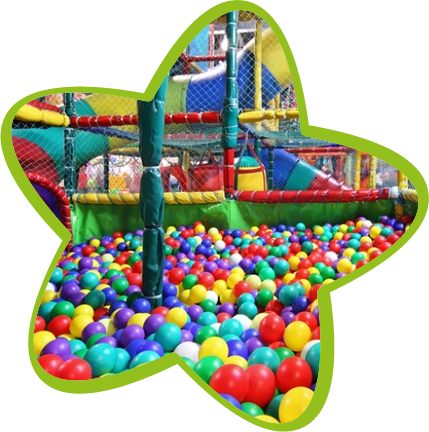 Hatfield Kids FunZone offers excitement for your children in a safe play centre. Amendments to your booking may result in a £20.00 administration fee. 3 months or more before the party – FULL REFUND. 1 months to 2 months before the party – 50% REFUND. Less than a month before the party – NO REFUND. If the Hirer fails to arrive without having cancelled by the appropriate method the full charge will not be refunded. ILLNESS – If your child is ill, we appreciate this is distressing and we would like to help by moving the party date, subject to availability. If no alternate date is found, unfortunately you will forfeit your money. PLEASE INFORM US AS SOON AS POSSIBLE ON THE DAY OF THE PARTY. (CENTRE OPENS AT 9AM) Price will depend on the date and time of party booked. Email Confirmation will be received once payment in full has been made. Suitable clothing and no footwear (apart from socks) should be worn in the play area. We recommend that children wear long sleeves tops and long trousers when playing in the FunZone. The Council reserves the right to refuse an application or cancel or terminate any booking for whatever reason without being bound to give any reason for doing so. Hatfield Town Council will not, as a result of the exercise of this right, incur any liability from such a refusal, cancellation or termination. Any charge or apportioned part will be refunded. The Hirer shall ensure that all users of the Centre comply with the General Regulations of the Centre (which shall be deemed to be incorporated in these conditions) and the hirer shall be liable to Hatfield Town Council for any breaches. Parents or Guardians are responsible for all children attending the party. We suggest that all valuables are kept at home as we cannot take responsibility for any damage, loss or theft of personal items. The Centre does have lockers for customers use. On hearing the fire alarm please exit the building safely and calmly. Parents or Guardians are responsible for their children, therefore please make sure all children leave the building. Staff are on hand to help and assist. There are multiple assembly points around the building, please wait at your nearest point until a member of staff instructs you that it is safe to return to the building. Any damage to equipment must be reported to a member of staff straight away. It may be necessary to close certain areas for routine maintenance during the year that will not be available during your visit. For Seasonal events decorations may be used by the Town Council within the FunZone. In the event of a heavy snow fall, if the Centre remains open and you choose to cancel your party, there will be no refund given. If the Manager decides to shut the Centre, we will re-arrange your party for another date or give a full refund. Parents/guardians should inform the centre of any additional needs when booking the party. The centre will take every reasonable precaution to ensure children’s safety but parents/guardians must ultimately accept responsibility for their child’s welfare. We can take no liability for any user wearing a cast, or already nursing an injury before going in to the soft play area. ‘The Council’ includes any member of staff from the Centre authorised to perform any particular duty. The ‘Hirer’ means the person or organisation hiring the centre. Persons under the age of 18 years will not be accepted as a hirer. Exclusive use parties are available for those 16 years and under. IF YOU ARE HAVING FOOD, NO RETURNING TO THE PLAY AREA AFTER FOOD. IT IS YOUR RESPONSIBILITY TO CLEAN UP AFTER YOUR PARTY. Party guest must vacate their room promptly to allow time to set up for next party. Coffee Shop – Catering available please ask for more details. No kettles/equipment may be brought in and used. No alcohol may be brought on to the premises at any time. No cameras or video equipment are allowed, except in the party room, without our permission. At least 2 adults must stay and supervise children at the party and on the softplay. Standard candles are permitted (Re-lighting candles are not permitted). Please ask staff if you are unsure. Should the fire alarm sound all users should vacate the building in an orderly fashion. Children wearing face paints are not permitted on the structure. Whilst every effort is made regarding awareness to food allergies and intolerances the customer has a responsibility to inform us of their allergy or intolerance. CCTV operates within the FunZone for safety and security. Hatfield Town Council will use all reasonable endeavours to safeguard the privacy of visitors and customers to this website. The following outlines the reasons for the collection of data and explains how we collect and process it. If you have any questions concerning the collection, processing or storage of your personal information, please contact the Compliance Officer by post or email. STORED INFORMATION - When you visit www.funzonehatfield.co.uk, we may collect sufficient information to provide you with any services you request now or in the future. We may, for example, ask you to provide your name, company name and contact details to enable us to do this. We will also store information that you provide when you complete any other forms on our site, or if you contact us with comments or specific requests. We will not pass on any information that we collect without your express permission. E-MAIL - You may receive occasional e-mail messages from Hatfield Town Council on specific issues that we consider may be of interest to you. For example, we may remind you of a particular change or improvement to a service. If you wish to be removed from any Hatfield Town Council mailing list, please email us with the word 'Unsubscribe' in the title line of the email. OTHER INFORMATION - This site also collects information automatically using 'Cookies'. We do this in the same way as any other web site you may visit. Cookies allow us to record data about user preferences on a web site and when analysed, help us to run the service we provide to you. If you do not want a Cookie stored in your browser, you can change settings on your computer in order to disable them, however, this may effect the functionality of the services we provide and we are not held responsible for any errors produced from such a problem. The Help section of your browser will provide more information. TRANSFERRING INFORMATION OUTSIDE THE UK - This web site is hosted in England. Your details and other information collected will not be passed on by Hatfield Town Council to other persons outside the United Kingdom, unless we have your express consent to do so.